ABO needed an easier method for communicating with their 15K+ members. A new WordPress website design, email marketing platform plus social media consultation brought it all in focus. 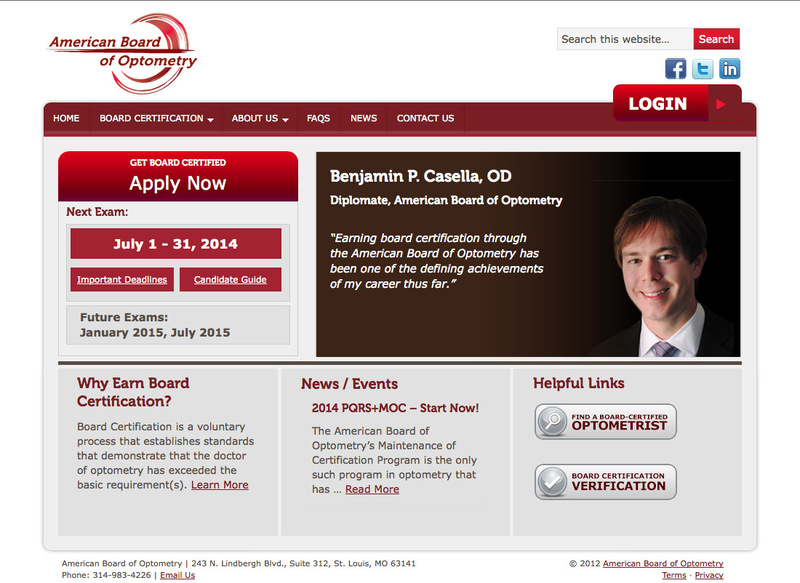 The American Board of Optometry needed a new online presence and better communication with optometrists across the country. Marketicity designed a new CMS-based website to better convey upcoming educational opportunities and provide consumers with access to a convenient optometrist-locator database.